Antony Gibb | Orangery, Conservatory, New kitchen? Antony Gibb highlights some of the things to bear in mind if you want to extend your listed property. Planning permission will be required. Being listed doesn’t mean you can’t extend your property, though, just that it’s expected that you’ll take extra care to get the design right. Planning will need scale drawings of the existing building, as well as your proposed extension. Full details of what’s required can be found in Planning Practice Note 11A (January 2016), available on the Planning website. Buildings are on the list (‘designated’) because they have ‘special significance’. They’re good examples of a particular style or period, for instance, or have fine traditional features. Or because they’re just really old. The idea is not to damage what’s special about the building, so Planning ask for a ‘Heritage Impact Statement’ to be submitted. This assesses what’s important and the extent to which the extension affects the building. The general approach is for extensions to be ‘subservient’ to the original building – smaller and less grand. 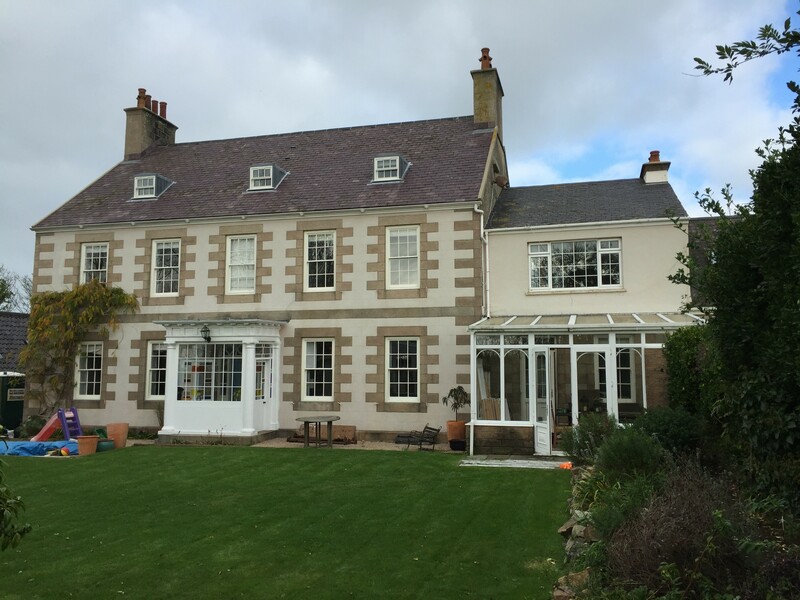 If the extension is twice the size of the original building, for instance, and knocks out the end wall with its original fireplace, that would have an adverse impact on both its significance and setting. Extensions can be modern or traditional in style and can look good either way. Modern can often be more difficult to do well than traditional (and more expensive). But traditional can go wrong too – my pet hate is when classical details (columns, capitals and all that) are used incorrectly in traditional developments. The palette of materials should also be chosen so as not to upstage the original building. Traditional designs look good painted if the joinery is painted in subtler tones than black or white – ‘historic’ colours often work well alongside old buildings. If you’d like to discuss extending your property, get in touch. We can advise on what is likely to be acceptable with Planning, can prepare Heritage Impact Statements and can submit applications for extensions to listed and historic buildings.